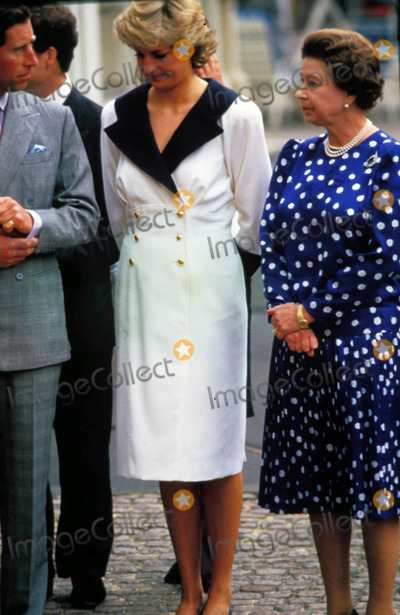 Queen Elizabeth Princess Diana Prince Charles 08-04-1987. . Wallpaper and background images in the Queen Elizabeth II club tagged: princess diana prince charles queen elizabeth. This Queen Elizabeth II photo might contain wamevaa vizuri mtu, suti, suruali nyayo, pantsuit, mtu wamevaa vizuri, suti ya suruali, suti biashara, and biashara suti.